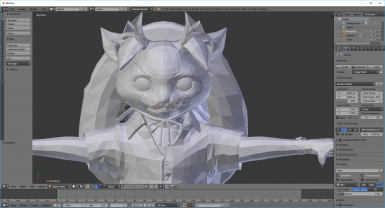 Scripts to import models in blender 2.79. You can also edit monster hunter world models with this tool. A lot of improvements about bones/weights/uv. Also added some more folder checks. Import UV-maps even when not importing textures. Some other things i can't fully remember anymore. fixing start.bat-bug: space-characters inside filepath could prevent running the script. fixing weight-rounding-bug: blender uses float32, cutting some precision, after recalculation on export int-functions cutted decimal places, resulting in totally different weight-values. Fixed a bug where some mod3 files can get corrupted. Added normals on import and option for exporting normals. Changed bone model and handling, sadly still problems with downsized monsters (test with replacing poogie). Setted X-Ray as default for bone-skeleton. Fixing annoying weight bug (weight information lost on import). On faces it created a weird problem of skin moving slow with the animation itself. Check for LOD 65535 on export with force lod. Vertexcount should not cause any trouble anymore. It should now autodetect the install folder. Started working on weights. and bones, it can be tested now. Added an option to force LOD-level, if activated it basically disables all the other levels and sets LOD-level of 1 to 0xFFFF. Added a custom launcher "start.bat" for people with problems on install. 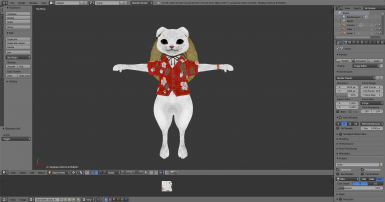 Changed default embed mode to "Reference"
Currently it selects the first texture it finds, but the UV-map should stay the same if you switch the textures. To switch texture manually, your object should be in edit (TAB-Key) and face-select mode (cube-icon with highlighted front), hit "a" to select all then you can switch the texture in the UV-window. Before use check that the *.mrl3 needs to be in same folder and that the chunk path is correct! 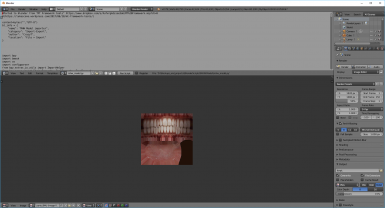 Added possibility to import objects with by their lod-level. Added option to group objects by lod-level into the layers. Added "Reference original data." wich is faster (but if original file is deleted/moved the project can not be exported). Added debug-module wich is has disabled debug output on release package (results in faster import/export). Import and view *.mod3 files inside blender (version 2.79, maybe will add support for 2.80 later). Maybe not all *.mod3 files are supported, but most files should work. You can get those *.mod3 files by using the WorldChunkTool by MHVuze. The option "Import textures." just adds the texture-files of the *.mod3 file to the image-window. Its the best to use the original chunk-folder because it also looks for a *.mrl3 file. This currently does not work on version 0.8, use start.bat instead! Make shure that "Import-Export: MHW Model Importer" in the user-preferences window under the section "add-ons" is checked. This can result in the exported object not showing changes ingame. Why do i see black textures? This is a known bug currently .. if you verticecount is bigger than that of the original mesh. But this would only be a workaround .. If anybody finds out what those numbers are about , please let me know. Why do i get "Verticecount of * for face not implemented"? UV-Maps do not get imported,why? This is especially a problem if you add/delete vertices. For viewing you can import as many files as you want. For exporting you can only import exactly 1 file. Else you only export the last imported file or mess things completely up if the mesh names are the same. If you import .obj files they won't be exported unless they have the same name as an existing mesh that was imported from a *.mod3 file. That way you should be able to replace an existing mesh by removing the original and just give the obj-mesh the same name. Or you could copy the vertices of that obj-mesh into an existing mod3-mesh. I'm getting the error "Exception: Install path d:\tmp\test not found!" There are 2 textboxes on the left side import window. These paths there must be adjusted before the first use! Is itsafe to overwrite the original files? NO, allways keep your orignal files unless you want to restore them with the world chunk tool incase of problems. Check if there is a *.mrl3 file in the same folder as your *.mod3 folder. Check if you chunk-path is correct (left side of import window). I see the wrong texture,why? 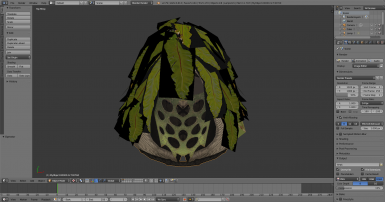 Known bug or missing feature, you can get around that by editing the object(TAB-Key),select all vertices(A-Key) and switch to the right texture in the UV-Window. The UV-map itself can also be edited (just moving vertices, no new vertices ...). I changed the model but do not see any changes ingame, why? See above info about "Objectfiles normaly contain multiple LOD-Meshes"
I opened a map-file but for some reason i see no objects, how can I fix this? Select the mesh in the outline-window and press the ","-key on your keyboard in the 3d-port. And increase the "end" of the "Clip:"-section till you see the object. I can't see the addon, where is it? 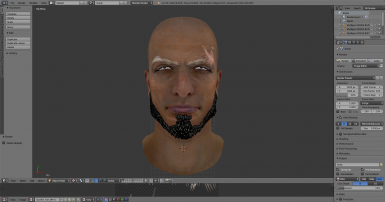 The menu-items for the addon should appear in the import/export menu of blender (under "File"). Is the source code public? I'm missing feature XY, can you implement it? Its a new feature, only tested by me ... might contain bugs. 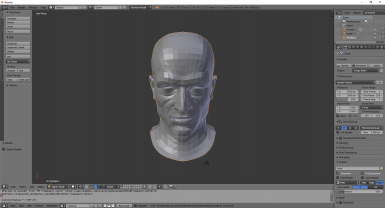 I exported my model with forced LOD, now i don't see it on import anymore,why? 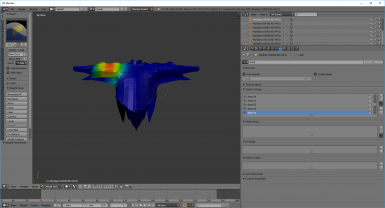 On forced LOD export it changes the LOD-level itself. Just try to import the LOD-Level 65535 instead (option inside left panel on import can be SHIFT-clicked to enter a number). I ported it to blender and added other things like texture-import and the export.